6) Ideas for curricular connections and assessment. 7) Be sure to add your own ideas to the cork board at the bottom of this screen! Using the iPad as a DOCUMENT CAMERA enables everything in the room to be projected! Connect to a projector either through a cable "dongle" or wirelessly using an Apple TV and you are ready to go! Just turn on the live camera and you are set! * Use the iPad to project math manipulatives and Science aftifacts! * Dissect under the iPad document camera! * Project science or math text to read aloud! * Demonstrate experiments or activities! * Model recording of information! * Take photos of student work to annotate and discuss! For extra powerful learning, flip the classroom and have the students create dynamic presentations to demonstrate their Math and Science understanding! * Create unique presentations, demonstrations, and record student thinking using some of the apps featured here! * Use the iPad as a document camera to project EVERYTHING! Interactive whiteboard apps allow both the student and teacher to share their Math and Science thinking! 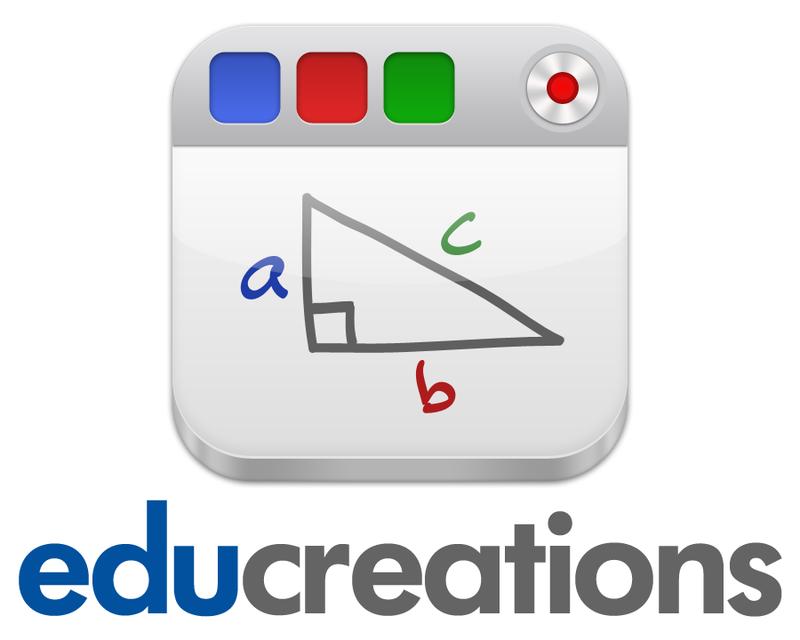 Educreations is a virtual whiteboard where you can choose a variety of paper styles, import images, draw, type, and screencast your lesson in progress. Saved lessons are available online for future reference. 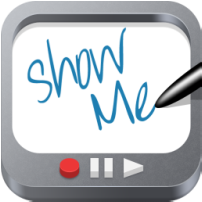 Show Me is a virtual whiteboard where teachers and students can record their thinking, add images, and screencast. Lessons can be saved online and shared or used again in the future. The Explain Everything app has a multitude of features that enable the user to create layered multi-media presentations. Beyond a basic whiteboard, up to 4 videos can be added and playing simultaneously. Videos can be annotated and everything can be screencasted. 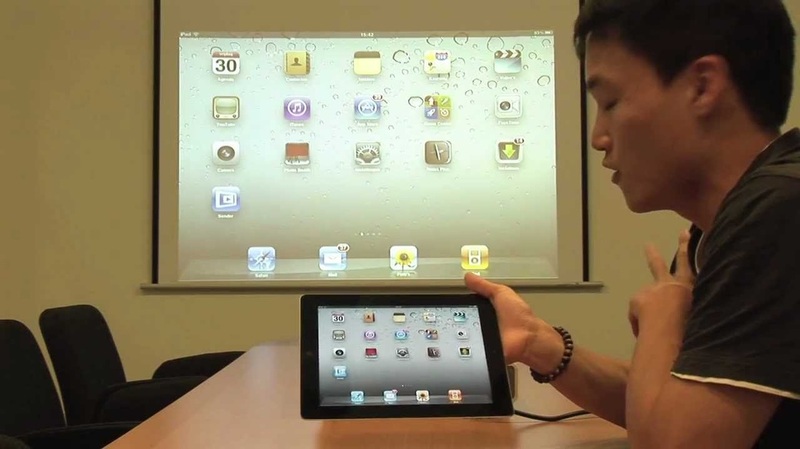 Both students and teachers can cr﻿eate presentations using these easy to use apps! Powtoon is a fun animated presentation tool. It provides the user with a variety of cartoon style images which can be animated to share information. 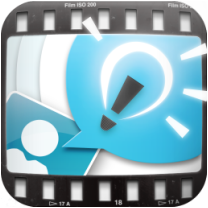 Easy to use, this app can be used by both teachers and students to share ideas! 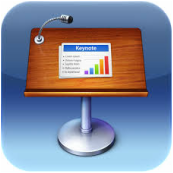 Keynote is an easy to use slideshow creation app. In Keynote you can add custom slides, graphs, images, and animations. It is simple to use and quick to learn. For a video on how to use Keynote, click on the "Learn More" button below the icon. 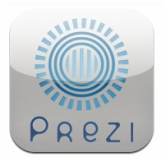 Prezi is a timeline format presentation tool. The creator uses templates to develop a timeline style presentation that includes both images and text. The user moves through the presentation to gather the information. Be sure to click on the link below to learn more. My Story ($3.40) Is a digital book creation app. Use this app to have students create digital stories that demonstrate their understanding. A small selection of stamps are included, but students can also use images from the internet or the camera. For example, create a book about the "Digestive System". Students could work in pairs or groups to reinforce cooperation. GreenScreen by DoInk ($2.99) allows students to obtain a green screen image layering affect. Students record video in front of green paper or fabric (provided by the user) and then replace the green background with images. Particularly with science, the potential applications are tremendous! Ideas include: record weather forecasts, create news broadcasts at active volcanoes, broadcast from the surface from another planet or from inside the human body! The possibilities are only limited by imagination. * Academics: Have students create presentations in all areas of the curriculum through which they can demonstrate their understanding and teach others. This is particularly powerful in Science where students can choose topics, research, explore, experiment, record, and then share their findings with the class. * Oral Language: Presentation skills such as eye contact, voice speed, and volume are practiced. As a class, develop a rubric to decide on the criteria for the different components of a good presentation. Ask questions such as: How many slides should it have? How much text? Visuals? How do you know if it is complete? Incorporate oral language by adding rubric components around speed of voice, volume, eye contact, and body language during presentation. For group work, add self-assessment, peer assessment, and teacher assessment onto the rubric. Or, try creating your own rubric using an available iPad Rubric creation app such as "Assessmate".